Before you go, don’t forget to book your hotel in Thailand on Booking.com! Very touristic but for good reasons… beaches in Thailand are among the most beautiful in Asia. 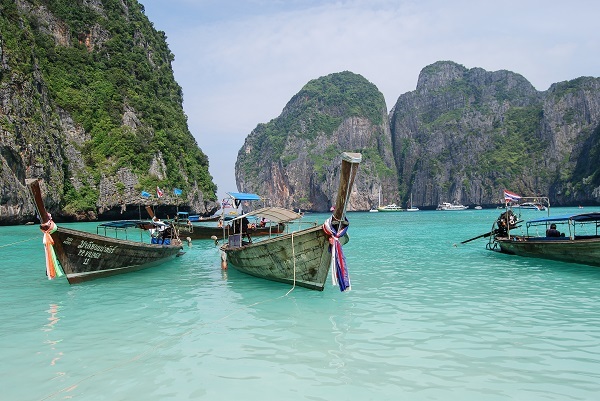 Maya Bay is the beach from the same name movie, and deserve a visit. 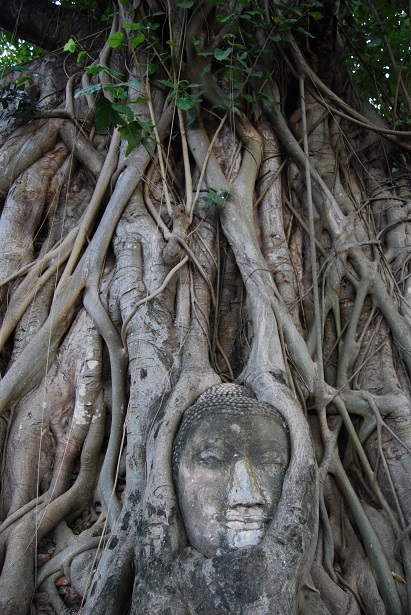 The best way to eplore the ruins of the ancient capital of Thailand is by bike or by boat. Ayutahya is a world heritage site. The old capital of Sukhothai also deserve a visit. 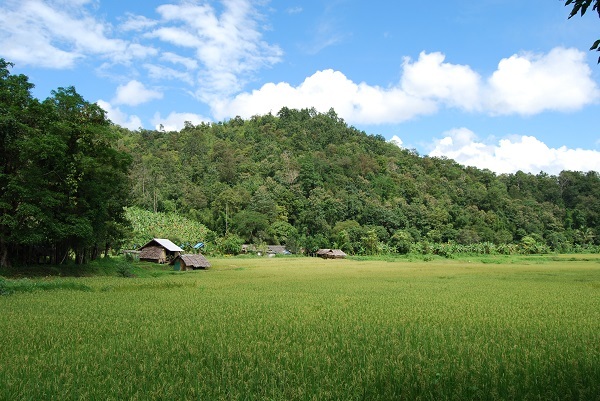 Chiang Mai is the ideal base to do some trekking and visit the sceneries of the North of Thailand and visit the hill’s tribes. The three national parks you absolutely must see are Khao Yai, Khao Sok and Kaeng Krachan. Erawan’s national Park also deserve a look, if you go near Kanchanaburi. 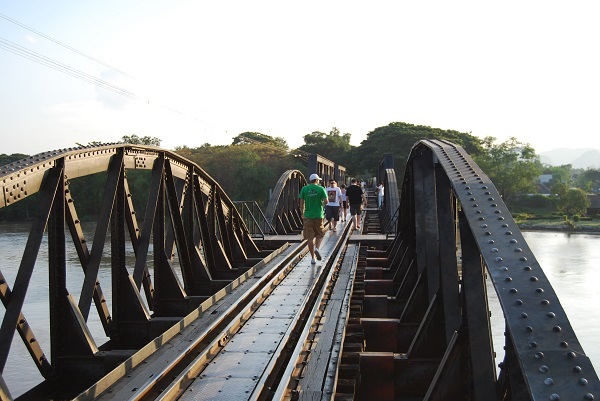 Famous for it’s World War II historical sites (the ‘bridge over the river Kwai’ and the ‘Death Railway’), Kanchanaburi was a strategic point for the japanese army. You can also visit Erawan National Park from there. 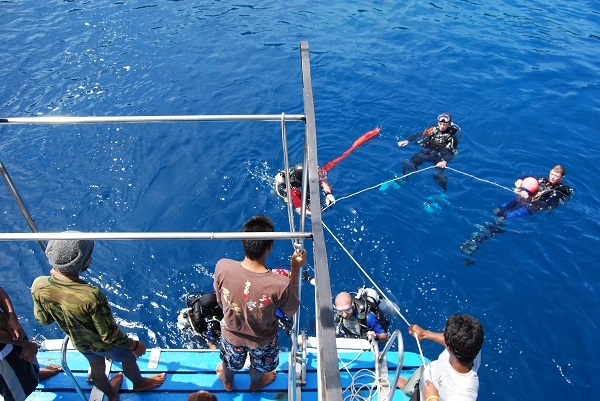 Thailand has many superbs diving spots and it’s the ideal place to obtain a PADI licence. 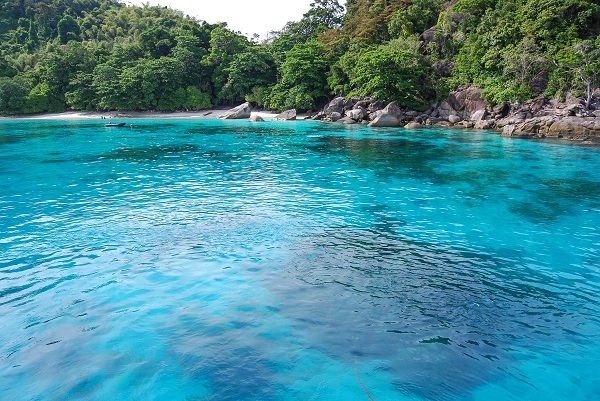 For advanced divers, the Similan Island and Richelieu Rock on the West Coast of Thailand are famous diving spots. If you are lucky you can even see a whaleshark. In my opinion that’s the place to visit in priority in Thailand. Located in the North-East of Phuket, you can see there a spectaculat scenery of vertical cliff emerging from the sea. 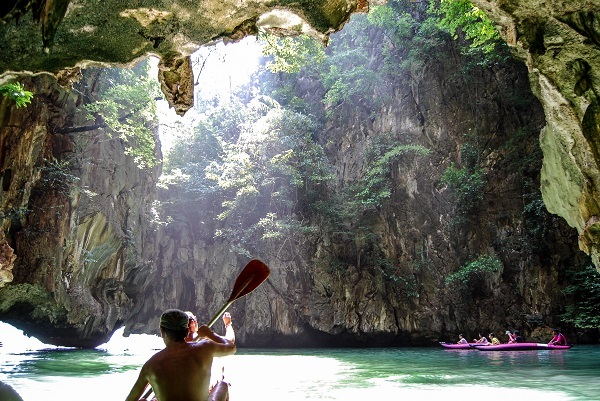 The best way to explore this place is by Kayaking. 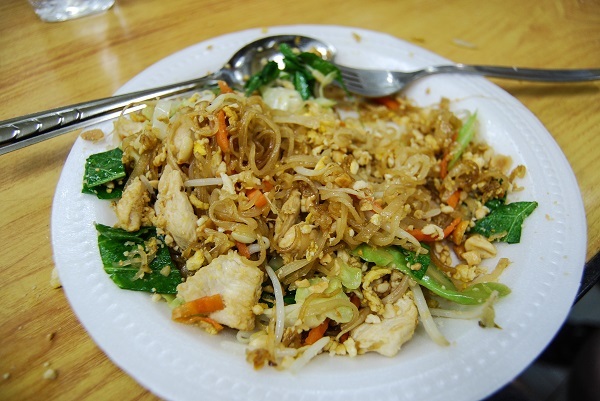 One of the main reasons to go to Thailand: eat, eat and eat ! And dont be scared to try the street-food which is delicious. 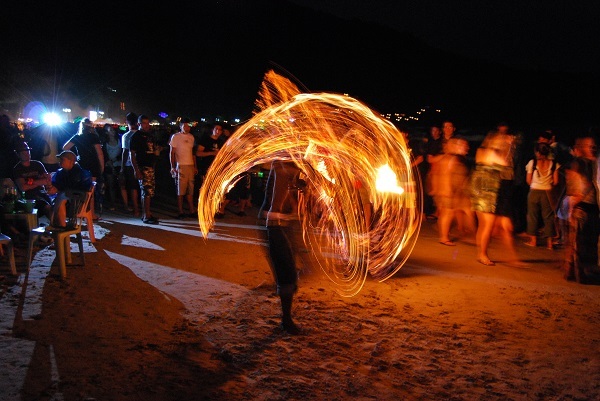 Even if you’re not crazy about partying, this place is a must-see to enjoy the music, make new friends and see the fire juggling. Who knows, maybe you will have fun there ! 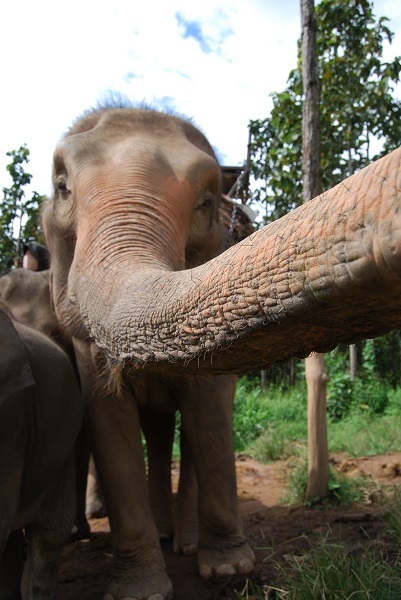 Ok I this makes it 11, but just because it’s cool to ride an elephant, even if you’re 70 years old. 3 Comments on "Top 10 things to do and see in Thailand"
If you are staying at Kanchanaburi 2-3 days, Eravan Falls in the National Park is a good option to visit, but it is overcrowded with tourists.. Don’t believe on those pictures you see with waterfalls with no people around.. It is literally overcrowded.. Most people only spends only 2-4 hours to see it and walk the trails around. 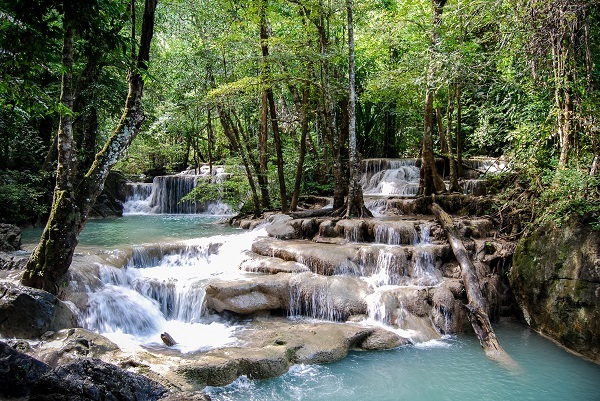 Erawan National Park is not worth to put in list if that is the only reason you are going to Kanchanaburi! 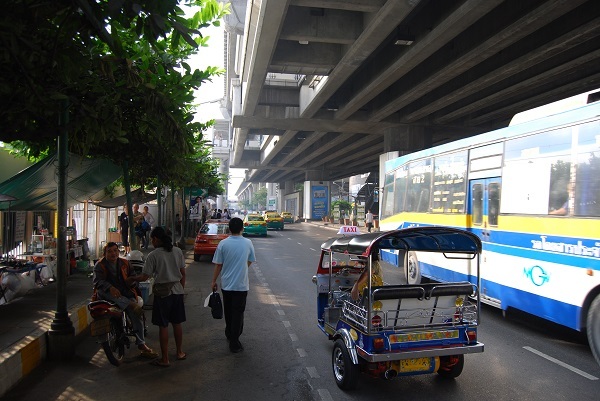 It is not a days trip from Bangkok! As Kanchanaburi is 4 hours away, change vehicle etc and get to Erawan is another 1-2 hours..
Kaeng Krachan is in my opinion the best national park in Thailand, I have been there 4 times already, next trip for me will be in 3 weeks time! Both national parks has crazy many mammals, birds, lizards, some great waterfalls, many trails. When I went to Erawan it wasn’t that crowded (maybe weekdays?) and not really a hassle to get there… still a nice place, but maybe not as good as Kaeng Krachan since I haven’t seen many animals in Erawan. 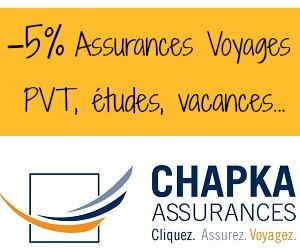 Thanks for your comment and all the information !